Dr. Rick C. Sasso, an Indiana spine surgeon and inventor, has won a sweeping, five-year legal battle against medical-device giant Medtronic, with a jury this week awarding him $112 million in damages. 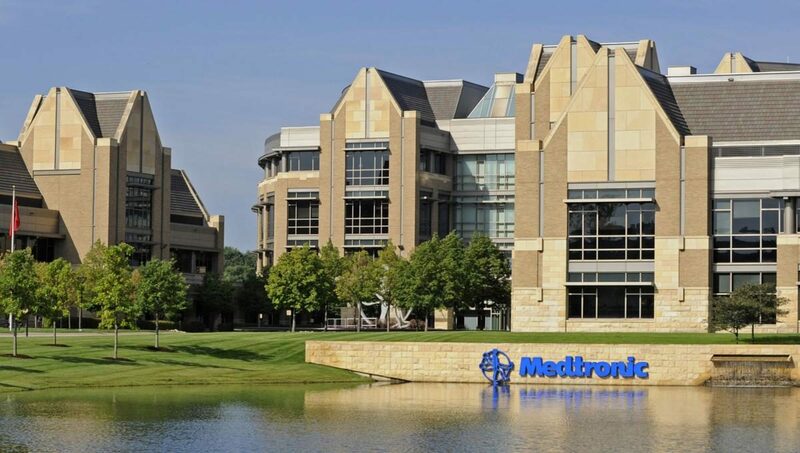 Sasso, 58, president of Carmel-based Indiana Spine Group, had claimed that Medtronic had violated a contract by not paying royalties he was due for spinal implants and screw-implant systems he had invented and sold to the company more than a decade ago. 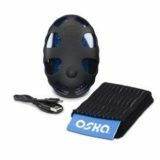 The systems became one of the company’s largest product lines, with annual sales of more than $200 million. Along the way, Medtronic paid Sasso more than $20 million in royalties, but he contended the company shortchanged him, breaching its obligations and acting in bad faith. A six-person jury in Marshall County Circuit Court returned the verdict in favor of Sasso on Wednesday, wrapping up a nearly month-long trial. In a regulatory filing Thursday, the company said it has “strong arguments to appeal the verdict” and will file post-trial motions with appellate courts. But Sasso’s attorney, Frederick Emhardt of Plews Shadley Racher & Braun, said the jury—which included two science teachers–spoke loudly with their verdict, sifting through a complicated set of facts and circumstances. For more than a decade, Sasso appeared to have a model business relationship with Medtronic, one of the nation’s largest makers of spinal devices. 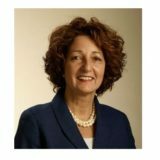 Sasso in recent weeks did not respond to several requests from IBJ to comment on the dispute. But in voluminous court filings and interviews with other outlets over the years, a picture emerges of a focused surgeon interested in finding new ways to do things. He grew up in Warsaw, a city nicknamed the orthopedic capital of the world for the prevalence of medical-device companies focusing on the spine and joints. Sasso’s father was a veterinarian, and as a boy, Sasso wanted to become one too. He was accepted into Purdue University, but on his father’s advice, he changed his sights to human medicine and entered Wabash University, according to a 2007 profile story in the college magazine. 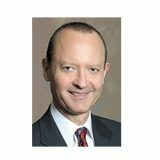 After getting his bachelor’s degree in 1982, Sasso entered the Indiana University School of Medicine, and later did his residency in orthopedic surgery at the University of Texas Medical School in Houston. During a fellowship at Northwestern University in Chicago, Sasso noticed that surgeons had a difficult time tending certain spinal fractures and were still using primitive methods, such as wires, rods and big hooks. So he soon began experimenting with a new system of his own. In 1994, Sasso and an engineer, Dan Justin, filed a patent application for a spine-implant device, involving screws and rods that would provide stability in the upper neck. Around the same time, Sasso formed a start-up company, See LLC, with his brother and father-in-law, to manage his intellectual property. He and Justin were issued a patent in 1997. They initially had trouble getting medical device companies interested in the invention because there were no similar surgical systems on the market, according to court papers filed by Sasso. But Sasso finally had a breakthrough after being introduced to Robert Compton, an Indiana venture capitalist who was president of Sofamor Danek Group, a maker of spinal instruments based in Memphis, Tennessee, that had operations in Warsaw. Compton is well-known in Indiana as one of the early financial backers of the email-marketing firm ExactTarget, which was cofounded by Sasso’s brothers-in-law, Scott Dorsey and Chris Baggott. See LLC transferred its intellectual property rights to Sofamor Danek in return for $100,000 in cash, 1,500 shares of stock, and royalties. Just a year later, Sofamor Danek Group was acquired by Medtronic for $3.3 billion, and in the ensuing years, Sasso entered into several agreements with Medtronic for a series of medical devices related to spinal stabilization. 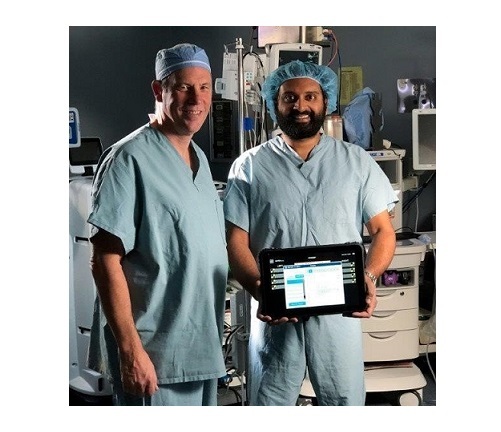 JACKSON, MI – It looks like a tablet but instead of connecting to headphones, the wires protruding from this new device at Henry Ford Allegiance Health connects to stickers – which are attached to the arms and legs of patients undergoing surgery. The new device is called a Sentio generation 2 neuromonitoring system and Jackson’s hospital is the first in the nation to use it. The minimally-invasive technology can offer patients a faster recovery, less blood loss and a shorter hospital stay, according to a HFAH press release. Surgeons began using it in Jackson in October. “While we’re placing our instrumentation, we’re able to better assess that we’re in the correct place,” said Dr. Amritraj Loganathan, a neurosurgeon at HFAH. The Sentio is primarily used during spine surgeries to decompress nerves. Accelerometers in the stickers can detect subtle muscle twitches – which are then shown on the screen. This shows which nerves are firing and what they’re specific functions are, Loganathan said. What excites Loganathan is the hospital’s plan to lead studies, in expectation of finding ways to expand the tool’s usage. Loganathan believes it could help surgeons assess how healthy a nerve is. Right now, they must rely on a patient’s pain assessment to determine if the nerve was successfully decompressed during surgery. 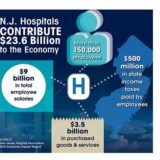 WALTHAM, Mass., Nov. 29, 2018 (GLOBE NEWSWIRE) — Histogenics Corporation (Histogenics) (Nasdaq: HSGX), a leader in the development of restorative cell therapies that may offer rapid-onset pain relief and restored function, today provided an update on the NeoCart regulatory pathway based on its ongoing dialogue with the U.S. Food and Drug Administration (the FDA). Since the initial Type C meeting in October 2018, Histogenics and the FDA have continued their discussions on the clinical data generated to date, the potential need for any additional supplemental clinical data (which may include longer-term data from the ongoing Phase 3 trial or additional studies) and potential alternative regulatory pathways for the NeoCart Biologics License Application (BLA). The FDA has not yet made a final decision regarding a potential BLA submission. Histogenics intends to provide a further update by the end of 2018 or early 2019 based on additional feedback from the FDA, once available. Important factors that could cause actual results to differ materially from those reflected in Histogenics’ forward-looking statements include, among others: expectations regarding the timing and success of ongoing discussions with the FDA regarding the potential submission or acceptance of a BLA for NeoCart; NeoCart’s potential as a treatment for knee cartilage damage; the timing, associated expenses and ability to obtain and maintain regulatory approval of NeoCart or any product candidates, and the labeling for any approved products; the market size and potential patient population in markets where Histogenics’ and its partners expect to compete; updated or refined data based on Histogenics’ continuing review and quality control analysis of clinical data; the scope, progress, timing, expansion, and costs of developing and commercializing Histogenics’ product candidates; the ability to obtain and maintain regulatory approval regarding the comparability of critical NeoCart raw materials following its technology transfer and manufacturing location transition; Histogenics’ expectations regarding its expenses and revenue; Histogenics’ ability to obtain additional debt or equity capital; and other factors that are described in the “Risk Factors” and “Management’s Discussion and Analysis of Financial Condition and Results of Operations” sections of Histogenics’ Annual Report on Form 10-K for the year ended December 31, 2017 and Quarterly Report on Form 10-Q for the quarter ended September 30, 2018, which are on file with the SEC and available on the SEC’s website at www.sec.gov. In addition to the risks described above and in Histogenics’ Annual Report on Form 10-K and Quarterly Reports on Form 10-Q, Current Reports on Form 8-K and other filings with the SEC, other unknown or unpredictable factors also could affect Histogenics’ results. Histogenics has not yet received the official FDA meeting minutes from the Type C meeting and the information in this Press Release may be altered or supplemented by the information contained in the official meeting minutes or any subsequent meetings that may be held with the FDA. 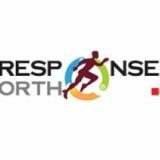 WARSAW, Ind., Nov. 28, 2018 (GLOBE NEWSWIRE) — WishBone Medical, Inc. announces the acquisition of Response Ortho. Response Ortho has a complete pediatric line of external and internal fixation and deformity correction products. 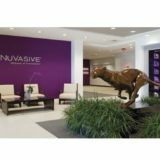 HOUSTON–(BUSINESS WIRE)–SpinalCyte, LLC, a Texas-based regenerative medicine company focused on regrowth of the spinal disc nucleus using its universal donor product, CybroCell™, today announced the FDA has cleared its Investigational New Drug (IND) protocol for human trials in the U.S., considered to be the first IND approval for a fibroblast cell therapy in a chronic condition outside of dermatological uses. The clearance allows SpinalCyte to begin recruiting and screening patients for the study. The trial is to be initiated after the first production run is tested for quality and safety to meet the FDA stated criteria. The Phase 1/Phase 2 trial assessed pain and structural improvements in patients using the Oswestry Disability Index (ODI), Visual Analogue Scale (VAS) and MRI scans. The data showed that 54% of the treatment arm patients met all three endpoints as compared to only 17% with the placebo (p=0.0003). More than 90% of patients in the treatment group had an over a 10-point reduction in Oswestry Disability Index (ODI), 100% had improvement in Visual Analogue Scale (VAS) and over 84% had an increase or no change in disc height. Degenerative disc disease (DDD) is a condition in which a patient’s spinal disc breaks down and can begin to collapse. It is estimated that 85% of people over the age of 50 have evidence of disc degeneration and over 1.3 million procedures a year are performed to treat the disease. The most common treatments for patients with DDD are either discectomy or spinal fusion. Discectomy is the partial or full removal of the degenerated disc to decompress and relieve the nervous system but can cause long term spinal pain. In a spinal fusion procedure, the entire disc is removed and the two adjacent vertebrae are fused together. It often increases strain on the adjacent discs and surrounding tissues leading to further degeneration. CybroCell™ is the first off-the-shelf allogenic human dermal fibroblast (HDF) product for the treatment of degenerative disc disease. SpinalCyte’s Phase 1/Phase 2 clinical trial for injected human dermal fibroblasts in the treatment of DDD demonstrated after 12 months, patients who were injected with CybroCell™ had sustained improvement in pain relief and increased back mobility. Based in Houston, Texas, SpinalCyte, LLC is a regenerative medicine company developing an innovative solution for spinal disc regeneration using human dermal fibroblasts. Currently, SpinalCyte holds 35 U.S. and international issued patents and has filed for an additional 41 patents pending. SpinalCyte holds 116 U.S. and International Patents pending and issued across a variety of disease pathways, including disc degeneration, cancer, diabetes, liver failure and heart failure. Funded entirely by angel investors, SpinalCyte represents the next generation of medical advancement in cell therapy. Visit www.spinalcyte.com. Memphis, Tenn., (November 27, 2018) – In2Bones Global, Inc. today announces the commercial launch of the CoLink® View Plating System. CoLink® View Bone Plates, marketed under the CoLink® View brand name, incorporate a unique combination of titanium metal and a high-performance polymer called polyether ether ketone (PEEK). The CoLink® View Plates offer transverse joint compression through an X-ray transparent PEEK hub. 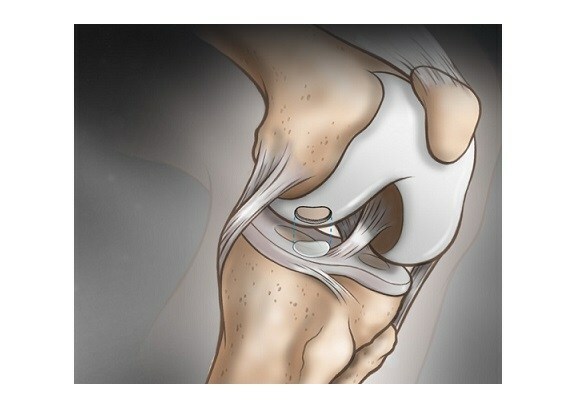 This allows the surgeon to watch the patient’s bone fusion site during the post-surgical healing process. The CoLink® View is the sixth In2Bones PEEK-related implant system to reach commercialization. It demonstrates In2Bones’ commitment to expanding the extremities market by launching innovative technological advancements to improve surgical outcomes and patient care. Headquartered in Memphis, Tennessee, In2Bones is a global designer, manufacturer and distributor of medical devices for the treatment of disorders and injuries of the upper (hand, wrist, elbow) and lower (foot and ankle) extremities. For more information, visit www.i2b-usa.com. This press release contains “forward-looking statements” within the meaning of Section 27A of the Securities Act of 1933, as amended, and Section 21E of the Securities Exchange Act of 1934, as amended. All statements made in this press release, other than statements of historical fact, are forward-looking statements. Forward-looking statements reflect management’s current view of future performance, results, and trends and may be identified by their use of terms such as “anticipate,” “believe,” “could,” “estimate,” “expect,” “intend,” “may,” “plan,” “predict,” “will,” and other similar terms. The company wishes to caution readers that actual results might differ materially from those described in the forward-looking statements. Forward-looking statements are subject to a number of risks and uncertainties impacting the business, including increased competition, technical obsolescence, regulatory issues, general economic conditions and other risks. 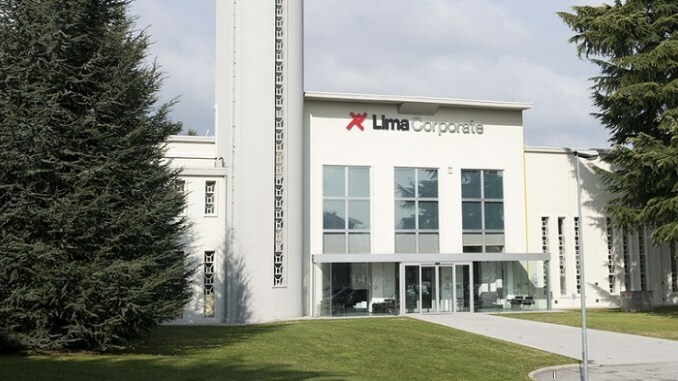 IRVINE, Calif., Nov. 27, 2018 /PRNewswire/ — United Orthopedic Corporation, a leading international designer, manufacturer, and distributor of innovative orthopedic implants and instruments, today announced that the U.S. Food and Drug Administration has cleared its vitamin E highly cross-linked polyethylene (E-XPETM) hip liner. The E-XPE™ is the new generation of highly cross-linked polyethylene blended with vitamin E to enhance wear resistance without compromising oxidative stability and mechanical properties. Vitamin E is an effective biological antioxidant which helps prevent the oxidative degradation of cell membrane phospholipids. When added to ultra-high molecular weight polyethylene (“UHMWPE”), vitamin E performs a similar role by helping to prevent oxidation of the polyethylene chains.1 Vitamin E -stabilized UHMWPE is a biocompatible material with good mechanical, wear, and oxidative proprieties. 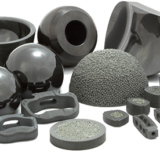 Results from accelerated aging tests show that E-XPE inserts and liners exhibited a 60 percent and 75 percent reduction, respectively, in gravimetric wear2. E-XPE material provides greater strength in comparison to re-melted highly crosslinked polyethylene while maintaining oxidation resistance as demonstrated in mechanical tests. 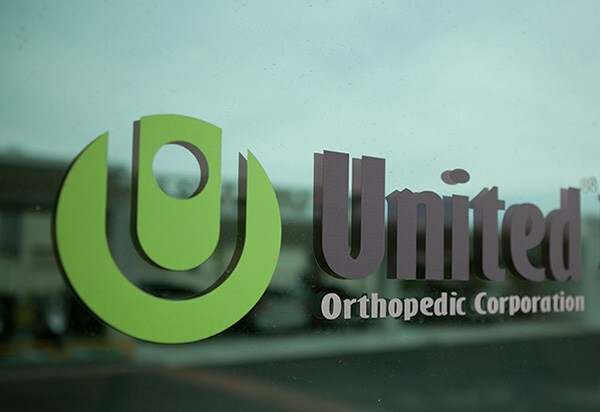 United Orthopedic Corporation is a leading international designer, manufacturer, and distributor of innovative orthopedic implants and instrument sets. The company offers clinically proven solutions used in primary and revision total hip/knee replacement in addition to oncology applications. The company has implemented and maintains Quality Management Systems compliant with ISO 13485, FDA and CE requirements. To learn more visit www.uocusa.com. 1 Gigante A, Bottegoni C, Ragone V, Banci L. Effectiveness of Vitamin-E-Doped Polyethylene in Joint Replacement: A Literature Review. J Funct Biomater 2015; 6(3):889-900. 2 Chang TW, Cheng YW, Lu CK, Liau JJ. Is Highly Cross Linked UHMWPE Blended with Vitamin E a Viable Reduction Wear in TKA? Presented at Orthopaedic Research Society, 2017, San Diego, CA. 3 Maradit Kremers H, Larson DR, Crowson CS, Kremers WK, Washington RE, Steiner CA et al. Prevalence of Total Hip and Knee Replacement in the United States. J Bone Joint Surg Am 2015; 97(17):1386-97. 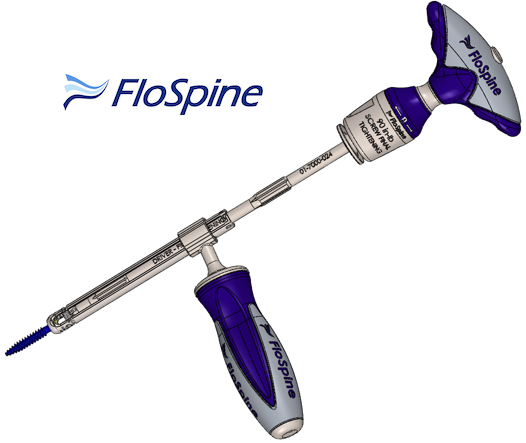 BOCA RATON, FL — FloSpine, a medical device company that designs, develops and manufactures spinal implants and instruments for the surgical treatment of spinal disorders, announced today the commercial launch of its CANAVERAL®Minimally Invasive Pedicle Screw System. The Canaveral Minimally Invasive Screw (MIS) System is a thoracolumbar posterior stabilization system featuring extended modular screw heads. This allows the surgeon to select the various modular screw head options to a wide range of screw offerings. This includes the option of 30mm reduction and a selection of closed or open style headbodys. 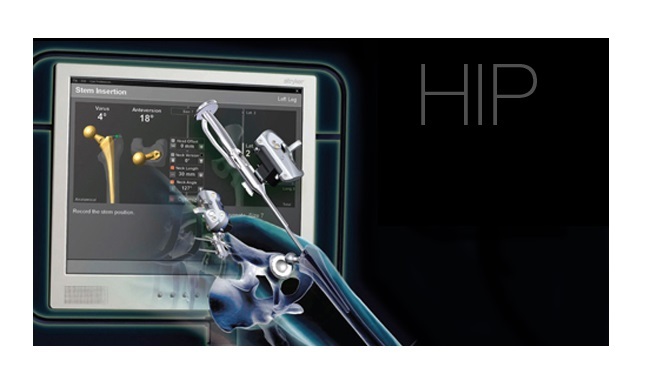 The CANAVERAL® MIS system is an extensive and customizable solution for all surgical cases. Two surgery’s using the FloSpine CANAVERAL® MIS Pedicle Screw System were performed by Texas Back Institute surgeons Dr. Richard Guyer, MD and Dr. Jack Zigler, MD at the Presbyterian Plano Center for Diagnostics & Surgery in Plano TX. Both surgeons were impressed with the instruments and the various implant options available. “I was very impressed by the ease of insertion, and also gratified to see how many of our recommendations that were used in the progressive refinement of the system” said Jack Zigler, MD, Orthopedic Spine Surgeon at Texas Back Institute and Co-Director of the Center for Disc Replacement. Richard Guyer, M.D. the Co-founder of the Texas Back Institute and Director of their Spine Fellowship Program said “FloSpine a great job engineering a very slick, surgeon-friendly system. It is also a scrub tech friendly system and they felt it was one of the easiest systems to put together” Dr. Guyer is also Co-Director for the Center for Disc Replacement at Texas Back Institute. “The CANAVERAL® Minimally Invasive System also reduces the number of implants that need to be present in the operating room and thereby reduces unnecessary clutter in the surgical area.